There are a number of different classic and video slot symbols that come up a lot, and many players have no idea of the history of these symbols. If you look at any classic slot, and many video slots for that matter, you'll see certain types of symbols and motifs come up. We want to take you through a quick history lesson to see where all of these symbols came from and how they impact the industry today. The original slot, the very first of its kind, was built based on different card symbols across five reels. If you made certain poker hands, you would win prizes like a beer or food in the bar the game was installed inside of. Many people find it hard to believe that a five-reel game was the very first slot, but it's true. It's also the source of why card ranking symbols show up so much in video slots today. Not long after this original game got popular, the first three-reel game was invented. It was called the Liberty Bell, and the biggest payoff was a whooping $0.50 based on a 10x win with $0.05 coins for three of the Liberty Bell. Three reels were easier to use mechanically, and they also made automatic payouts easier to manage. The bell concept was copied by other game manufacturing companies, and that's where the bell came from that is still in style today. Many places preferred to give out food items as prizes in these games because it allowed them to skirt the laws against gambling that were in a lot of places at the time (and still are today). 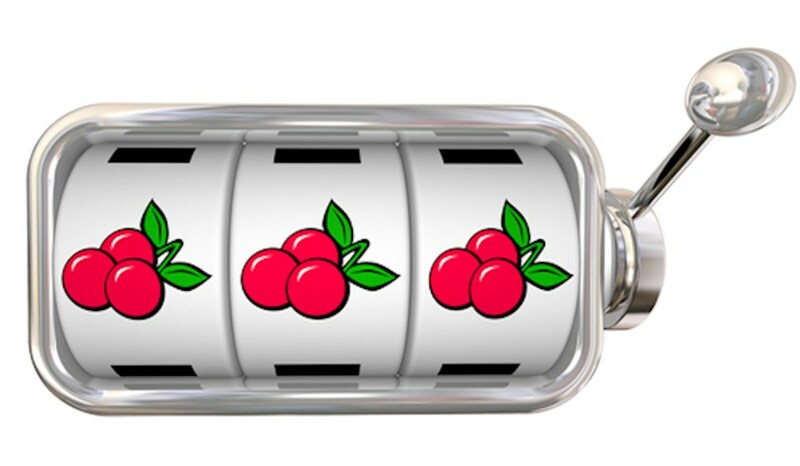 Along these lines, a game was invented that had different types of fruit on the reels. If you lined up three of the same fruit, then you received bubble gum of the same flavor. This is where the fruit symbols came from, and these games were a really big hit. However, one such company was called the Bell-Fruit Gum Company, and its logo is where the BAR symbol came from. This means that the BAR and fruit symbols were actually all tied together in the sense that a company making fruit machine games (which also included bells as you can imagine from the name) used its logo on its games to stand out, which was the BAR symbol. If you look at any classic slot running online today, you're going to usually see bells, fruit symbols and bar symbols in some capacity. Add that to the lucky number seven, and you have the vast majority of the symbol motifs running in classic slots today. Many video slots also have influence from these early games, and it just goes to show that the history of the games are very important to where they are now and where they are heading in the future.